Do you own a Glock 38 handgun that takes .45 GAP ammunition? 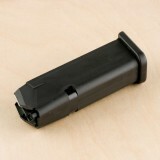 Are you looking for another magazine that you can use for target shooting or personal protection? Don’t settle for anything less than the best, order this factory-original magazine and you’ll get the precision and quality you’ve come to expect from Glock. 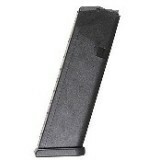 This magazine is perfect for your Glock 38. It will ensure you can shoot with consistency and reliability over and over again. It is made from the same lightweight materials as the original magazine that comes with the firearm, so you already know the product is of the highest standard. 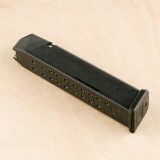 Glock is a global leader in firearm technology. This company has been making world-class handguns, specializing in lightweight and durable designs, since the 1960’s. From elite military troops to private citizens who want a reliable handgun, Glock is one of the most popular choices on the market. 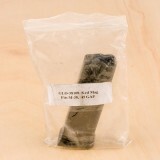 If you own a Glock 30 pistol that takes .45 ACP bullets, you can get a factory-original magazine to use as a primary of secondary unit. 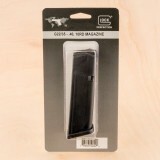 This magazine holds ten .45 ACP bullets, so whether you load full metal jackets for target shooting or jacketed hollow point for personal protection, this magazine will give you smooth, seamless performance. 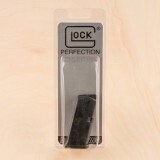 This magazine has all the advanced engineering and precise designs that you expect from any product carrying the Glock name. If your current magazine is becoming worn down and needs to be replaced, you can count on this magazine to give you reliable feeding into the chamber. Glock is one of the leading names in ammunition. They have a large supply of outstanding products, including some of the most reliable handguns you can find. They are trusted by law enforcement officials, military personnel, and private citizens who need a reliable, manageable self-defense weapon. 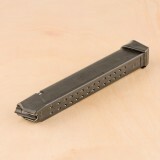 When you need another clip for your Glock 17, order this magazine right away. 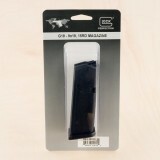 Your 9mm handgun will have an excellent magazine that helps ammunition feed smoothly from the clip into the chamber. 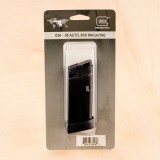 You can use this magazine for many purposes, including target shooting, hunting, and self defense. This clip will deliver the smooth and effective performance you deserve. If your current magazine is showing signs of wear, you can replace it with this factory-original product. 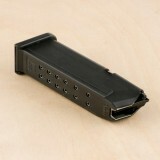 If you simply want a secondary clip, this magazine will be perfect for smooth and consistent shooting at the gun range. 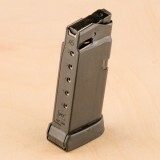 When you go through high volumes of 9mm ammo in your Glock 17 you need this excellent magazine. Glock makes some of the best firearms available. They carry a large selection of items for numerous purposes, and are trusted by law enforcement and private citizens all over the globe. 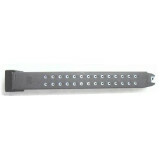 You can turn to Glock for all of your firearms and shooting accessories. 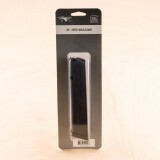 If you own a Glock 22 handgun that is fitted for .40 S&W ammunition, you can get the magazine you need for outstanding performance with this factory-original product. 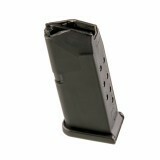 This magazine holds 15 rounds of .40 S&W cartridges, giving you the smooth and reliable performance you need in the field or at the target range. This magazine can be used for many different purposes. 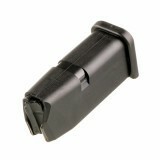 If your current magazine is showing signs of wear, you can use this as a reliable primary clip. 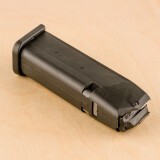 You can also take it to the range and keep it as a backup for high-volume target shooting. This magazine will ensure you have consistent feeding, so order yours right now. 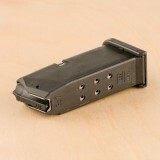 Glock is an international company that creates some of the finest products in the firearms industry. They have a full selection of top-quality handguns, as well as numerous accessories for target-shooting and self-defense purposes. Give your firearm tremendous performance with this 9-round magazine for the Glock 27 .40 S&W handgun. You’ll be able to load 9 cartridges that will feed smoothly into the chamber thanks to a precise and meticulous design from Glock. 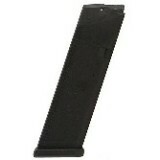 This is a factory-original magazine, giving you all the performance you expect from your Glock equipment. 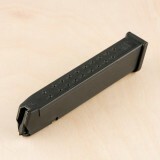 You can use this Glock magazine for many purposes. 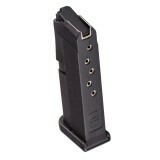 Whether you use the .40 S&W round for personal defense, target shooting, or hunting, this magazine will ensure superior performance and consistent firing. 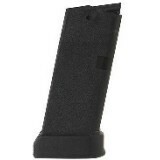 Use it as your primary or back-up mag and you’ll be all set for your shooting sports and personal protection. 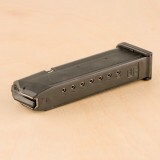 Glock has a huge selection of top-quality firearms and shooting accessories. This internationally-renowned company creates some of the finest handguns that you can find, delivering superior quality in every product. No matter what your reasons for gun ownership, Glock has the equipment you need. When you go to the range, you want to shoot. 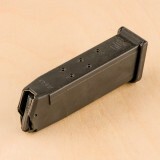 Stopping to reload your mags every 15 or 30 rounds is no fun. Grab these 15-round factory magazines for your Glock 19 and get back on the firing line! 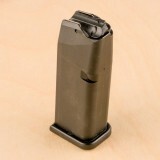 These double stack mags are compatible with the Glock 19 and 26. they cannot be used in the Glock 17 or 43 due to incompatible dimensions (the mag is too short for the G17 and too wide for the G43). Each magazine is made of sturdy gray polymer with a heat-treated steel insert. 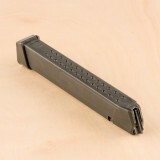 These mags are designed to withstand the sort of wear and tear that typically comes with tactical training including being dropped during reloads. 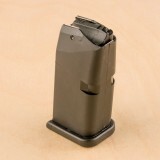 Do you need a secondary mag for your Glock 22 .40 S&W handgun? Are you looking to replace your current magazine due to wear? 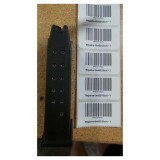 Then order this factory magazine from Glock. This original-manufacturer product will hold 22 rounds of .40 S&W handgun ammunition, allowing you to get the high-volume target practice you need to become a more proficient and responsible gun owner. 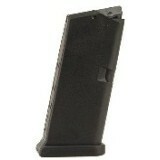 By holding 22 rounds of .40 S&W cartridges, this magazine allows you to take more shots without constantly reloading. You’ll be able to maximize your time at the range and get superior performance from start to finish. Glock has a large selection of outstanding products for personal defense, target shooting, and hunting. 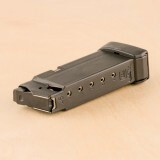 They are a leader in handgun technology, thanks in large part to their simple yet innovative designs. When you want reliability from your weapon, Glock is a trusted choice for both private use and law enforcement. 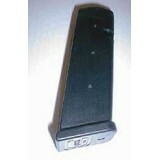 A 33 round magazine is as practical for self-defense as it is for everyday training. To be sure, there’s no more comforting feeling than fitting an extended magazine into your bedstand pistol, knowing that if there’s ever an intruder you’ll have a small mountain of cartridges ready to go. Regular target is a practice is a dream with so many shots at your disposal as well, as you’ll be able to focus more on your accuracy and less on reloading. 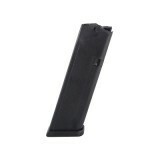 This double stack and drop-free magazine is made by Glock itself, so you’re assured proper functionality in the company’s G17, G19, G26, and G34 pistols. 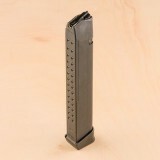 The magazine is incredibly durable owing to its polymer cased steel insert design, and its steel feed lips assure proper functionality and feeding. The numbered witness holes on the back of this magazine provide fast and easy reference to how many shots you have remaining, a great feature to have handy no matter how you would utilize it. You can even use this magazine with your concealed carry without worrying about printing, provided you’re wearing a small camping tent!